What could possibly entice someone to wake up early on a Saturday morning, skip their coffee and gather together in a church gym to sweat their way through deviously designed acts of physical fitness? For 50 women and men it was nothing less than the plight of 40 million men, women and children, facing far worse than that as trafficked humans. 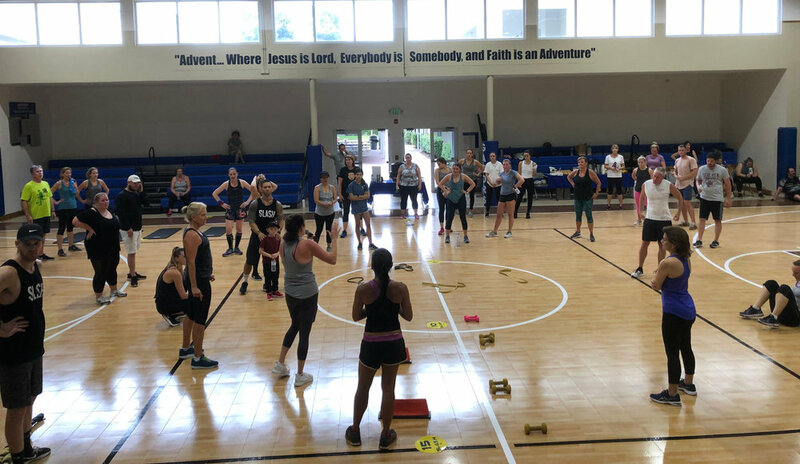 Led by the Freedom Challenge team of Advent Church in Boca Raton, Florida, these brave souls joined in the first Freedom Day Bootcamp with the hope of bringing trafficked people one step closer to freedom. January is National Human Trafficking Awareness month. It is an important time to lift up the often hidden tragedy that millions are forced to live as modern-day slaves. The statistics are shocking. Tracy Daugherty, Director of the Freedom Challenge, shares that of the 40 million trafficked people, 12 million are women and 12 million are children. Although human trafficking is more prevalent amongst the poor in third world countries, there are an estimated 60,000 trafficked people in the US. Sadly, South Florida is a major gateway for human trafficking in this country. Moved by their awareness of human trafficking, in January 2012, 48 women from seven different countries climbed Mt. Kilimanjaro to declare freedom for those who could not. Advent Church was represented on that climb and has since sent 28 women around the world to climb to proclaim from the mountaintops that Jesus means freedom. But these women do more than climb. Advent has raised over $400,000 to fight human trafficking when they come down the mountain. Their support, and that of many other climbers around the country, has enabled the Freedom Challenge to run anti-human trafficking ministries in critical places like India, Moldova, and Zambia. The women of Advent Church’s Freedom Challenge Team decided to mark this year’s Human Trafficking Awareness Month by offering a Freedom Day Bootcamp where men and women of all ages and fitness levels could gather to challenge themselves physically and to stand in solidarity with all those who have been enslaved and marginalized. 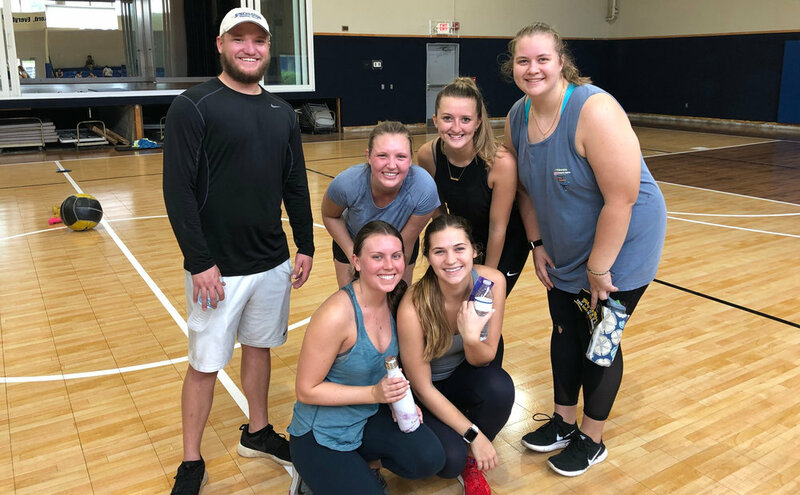 On Saturday, January 5, participants paid $25 to challenge themselves at 15 different circuit training stations led by volunteer instructors of Slash Fitness, Delray Beach. Additional donations helped them raise $1,700 with a promise of more support to come. Advent will begin forming teams for the two Freedom Challenge climbs scheduled this year: one to Mt. Rainier and one to Mt. Hood. The bootcamp was challenging for all the participants, as the climbs will be for the climbers. But we all know that the greatest challenge still lies ahead: to end human trafficking in our lifetime. Susan Hagen and Debbie Dingle, leaders of Advent Church’s Freedom Challenge team.